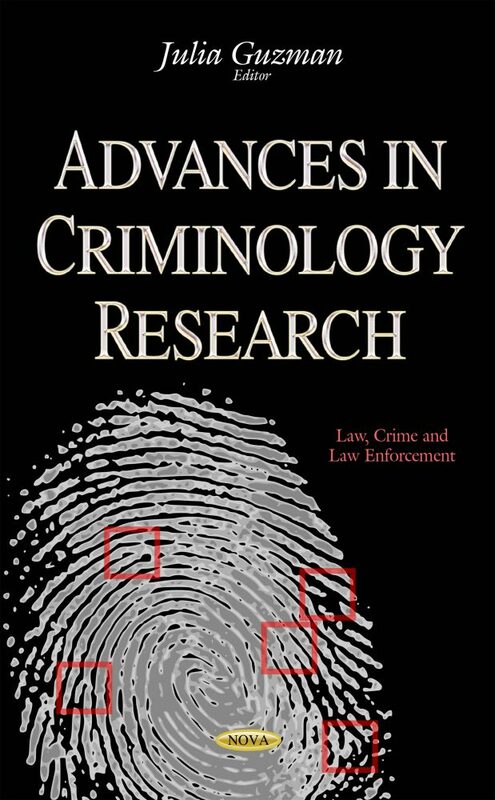 In this book, the authors discuss recent advances in criminology research. In the first chapter, the author gives a spatial analysis of the causes of criminality. Spatial analysis is one of the most widespread methods of criminological research in English-speaking countries. It is used to analyze the reasons of individual criminal behavior. In the second chapter, the author provides a combination of integrated and biosocial approaches on criminology. This chapter provides an argument whereby the agenda of white collar crime research can be developed by a synthesis of integrated and biosocial factors. In the third chapter, the authors present a theory that describes the association between social categories and inequitable police enforcement behavior. The social sciences have long been interested in the ways that an individual’s demographic characteristics such as race, gender and age shape behavior in applied settings where people differ in power and status. In the last chapter, the gendered attachment-self-control theory is examined, designed to explain the gender differences in criminal involvement.